The Klarstein Annabelle 60 cooker extractor hood is an attractive addition to medium to large kitchens. It attracts odours and vapours reliably and thus ensures a pleasant indoor climate, even during elaborate cooking activities. 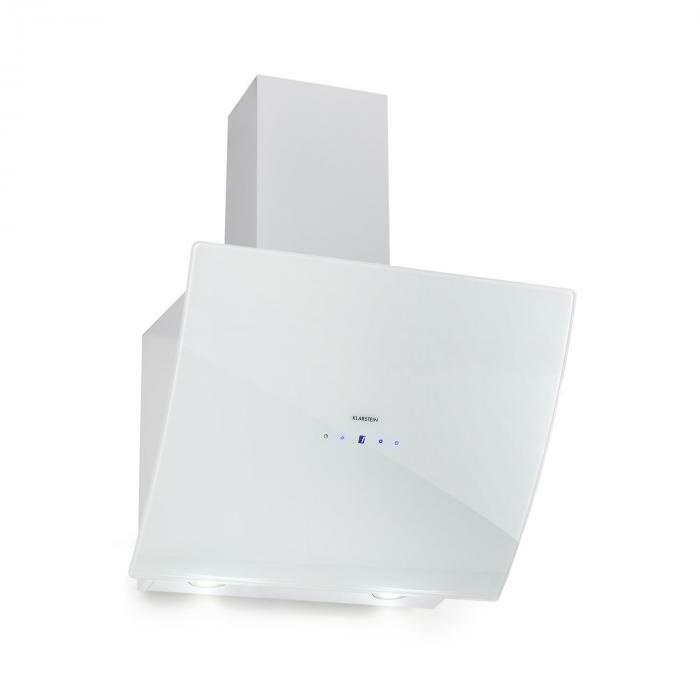 The clear and at the same time elegant design with white glass makes the Klarstein Annabelle 60 cooker hood a wonderful addition to any kitchen ambience and is a real visual highlight.